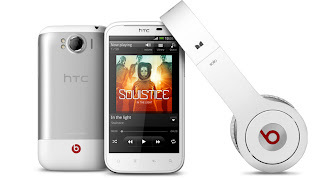 HTC Sensation XL official announced. Possibly heading to Canada? Today, HTC officially unveiled the Sensation XL. This is one of their first phones, with the Sensation XE, to be explicitly marketed with Beats Audio. Interestingly yesterday the Sensation XL made a visit to the FCC with the 850/1900MHz bands. These are of course the bands that are used by AT&T/Rogers/Bell/TELUS for 3G connectivity. What makes us believe that it is Canada bound is that Engadget is reporting that the Sensation XL is not making its way to the US. Therefore a 850/1900MHz version can only mean that is is either headed to Canada or one of the few South American Countries that use these bands for 3G data. We are inclined to believe it's Canada bound.